NavCoin Co-Founder Craig MacGregor has utilised the NavCoin Community Fund to offset the NavCoin Networks estimated annual carbon footprint through New Zealand based carbon offset charity Ekos. Energy consumption is often drawn as a criticism of cryptocurrencies in the media with reports of Bitcoin using as much electricity as the entire country of Ireland. NavCoin instead uses Proof of Stake which is already an energy efficient form of blockchain validation. 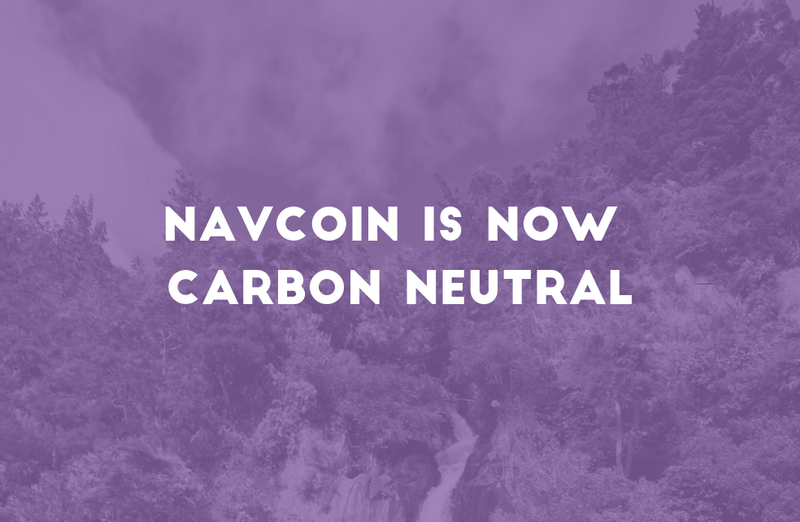 However, with the network’s carbon offset paid for NavCoin goes one step further and is now the worlds first carbon neutral cryptocurrency. The other reason why this is an important milestone for the NavCoin project is that the carbon offset was fully funded by NavCoin’s decentralised Community Fund. The proposal was submitted on the second of February 2019 and passed with 81% of the cast votes voting in favour of the proposal. This charitable gesture speaks to the good nature of the NavCoin Community and shows how decentralised funds can be used in interesting ways to do good in the world as well as fund development projects. While it is hard to quantify the total power consumption of a decentralised network, Craig based the carbon offset on the network using 300,000 kwh annually. This accounts for up to 500 full nodes, 10,000 NavPay users as well as subsidising user activities like trading and reading the weekly news. You can read the full calculations and assumption used on the NavCollab page that describes the Carbon Offset proposal. There is approximately 500,000 NAV generated annually for the NavCoin Community Fund and currently there is more than 125,000 NAV in the available for proposals. If you have a project big or small that you would like to see funded by the NavCoin Community, take the time to learn about the fund and join our community on Reddit & Discord.